Here We Going To Make The List of “Top 10 Greatest Test Innings of all time”, Ranked by Wisden. Against England at Antigua in 1993-94. Brian Lara Appear in The List 2nd Time With Another Great Innings. He Smashed 375 Runs Against England, Breaking the World Record of Garry Sobers (368). Lara batted for the equivalent of two days without giving a chance. 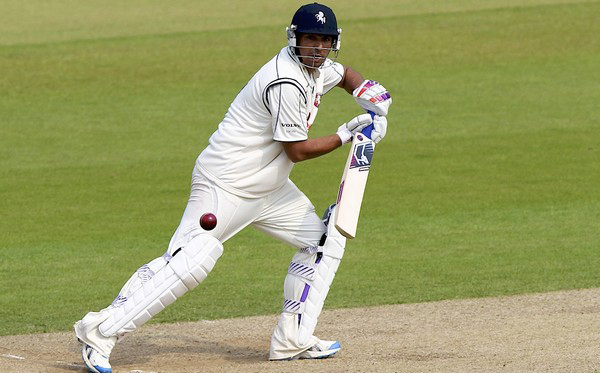 His Superb Knock Came Against The Bowling Attack Includes Angus Fraser, Andy Caddick and Phil Tufnell. Two Months Latter, Lara Made Another World Record, and That Was Highest Score in An Innings of First-Class Match, with 501* Runs. Kim Hughes is best remembered for losing the 1981 Ashes series Against England and a tearful resignation as Australia’s captain against West Indies. But he deserves better than that. 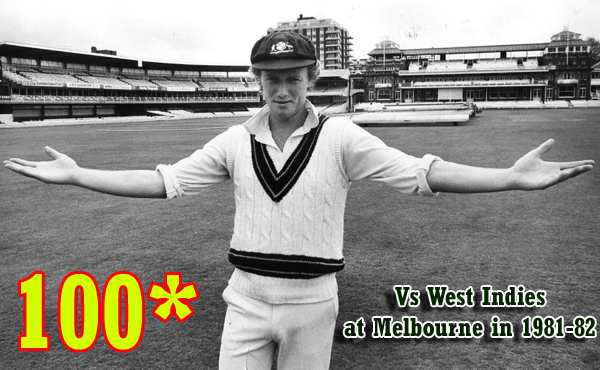 Kim Hughes was One of the most talented batsmen of his generation, he had brighter moments against the West Indies. Facing perhaps the greatest fast-bowling quarters of all time Michel Holding, Andy Roberts, Joel Garner and Croft with all their hostility and variety — Hughes belied his youthful, even angelic looks with a brave and fluent hundred on a Very tricky pitch. Made out of a total of only 198, it enabled Australia to win a low-scoring match and take a 1-0 lead in the series. Against South Africa at Durban in 1997-98. 22 Years Old Young, Upcoming All-Rounder Azhar Mehmood Came Out When Pakistan Was In Deep Trouble, pakistan were 89 for 5 Wickets. He scored his 3red century against South Africa, that was His 3rd in 6 innings. Against the Bowling Attack Likes of Allan Donald and Shaun Pollock supported by Fanie de Villiers and Lance Klusener. Azhar Scored 90% of Pakistan’s last 106 runs, Winning The Match for Pakistan by 29 Runs. Surly That Was the one of Greatest Inning in Test Matches History. Against England at Melbourne in 1897-98. Clem Hill played a superb knock when his national side required the batting like that. Australia collapsed against some mighty fast bowling by Tom Richardson and the nip of JT Hearne, they were 57 runs for 6 wickets. Clem Hill played probably the greatest innings in a Test between Australia and England, putting on 165 for the seventh wicket with Hugh Trumble to turn the match and regain the Ashes. Australia had set an astounding world record by winning their previous 16 Test matches, including the first in this series – and were surely about to make it 17 in a row. india Forced to follow on, were still 42 runs behind with six wickets left when Rahul Dravid came out to join Laxman, a day in which Australia conceded 335 runs without taking any wicket. 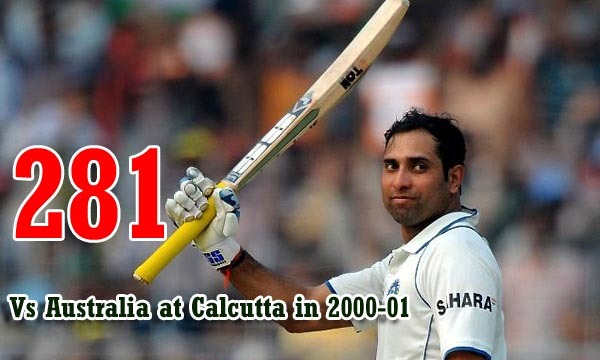 Laxman was particularly severe on Shane Warne, often coming down the pitch to hit warne against the spin, but equally positive against the pace of great Glenn McGrath and extremely talented Jason Gillespie. 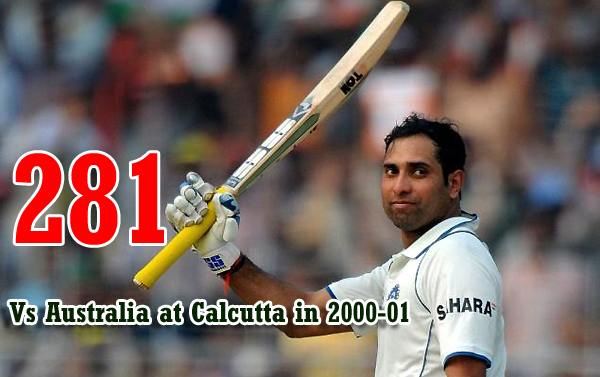 Laxman’s 281 runs, a new Test record for India, was scored quickly enough for Australia to be bowled out. Their defeat in this match and the next completed one of the great reversals of all time. Against South Africa at Adelaide in 1931-32. 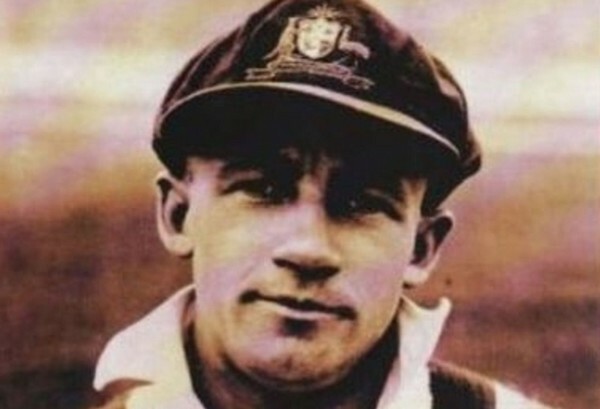 Greatest of Greats, Sir Donald Bradman could scored a triple century if Alan Kippax not run out. that was 7th consecutive century for Bradman. Bradman made only 92 runs via Boundaries out of his 299* runs. he scored 58% of Australia’s total runs in this innings. That Inning Ranked by Wisden as the 5th Greatest inning in Tests. in 2nd inning were England 92 runs Behind and only three wickets was left Botham Added 117 runs in partnership with Graham Dilley in 80 minutes. against the toughest pace attack of Dennis Lillee, Terry Alderman and Geoff Lawson. in the result of his brilliance England were the first side since 1894-95 to win a Test match after following on. surly he is one of the Greatest All-Rounders in Cricket history. Against West Indies at Headingley in 1991. 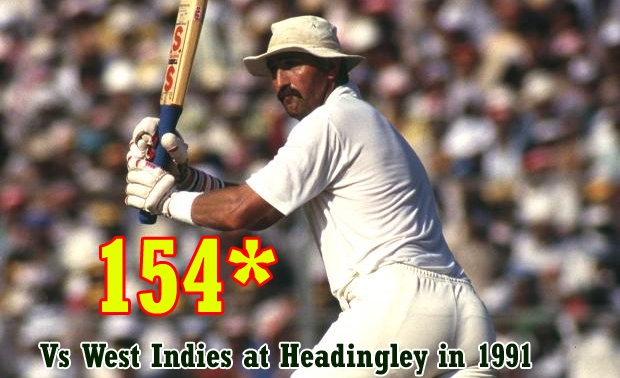 Graham Gooch Played a Superb Knock Against all-time greats like Curtly Ambrose, Malcolm Marshall and Courtney Walsh, plus the spiteful pace of Patrick Patterson, in bad light, on a typically uncomfortable Headingley pitch, Gooch scored over 60% of England’s runs in the second innings (no-one else made more than 27). he smashed 18 fours during his historic innings. Gooch was first England opener for 11 years to carry his bat in a Test, he set up their first home win over West Indies since 1969. 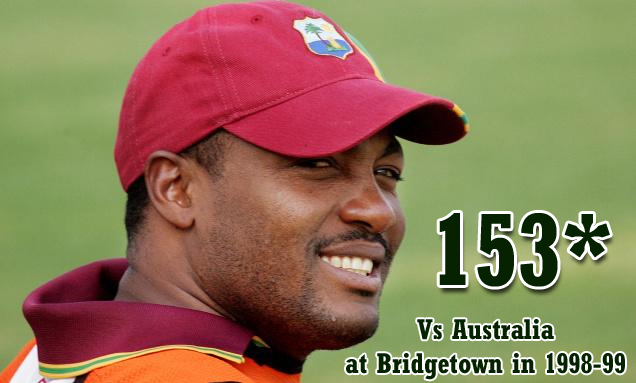 “cricinfo” says : Brian Lara’s unbeaten 153 against the Australians in Bridgetown is widely and justifiably regarded as the greatest chasing innings Test cricket has known. Australia dominated the opening three days of the Third Test. 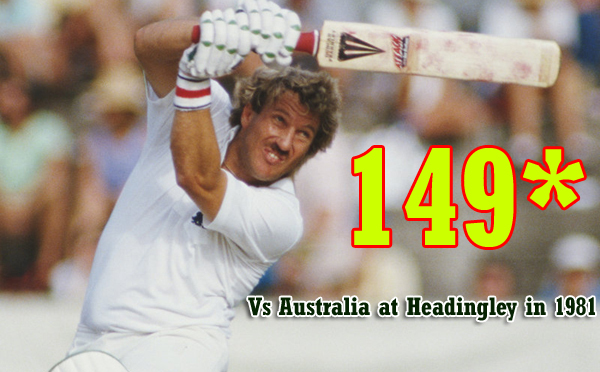 Steve Waugh set the tone with a rugged 199 as Australia scored 490. West Indies subsided to 98 for 6 before the fightback began with a partnership of 153 between Sherwin Campbell and Ridley Jacobs. Next day, West Indies continued their resurgence by bowling the Australians out for 146, leaving a target of 308 for victory. When three early wickets fell that fourth evening, it seemed the cause was lost. Overnight Lara was two not out. West Indies’ position continued to deteriorate on Day Five till they were 105 for 5. Now Lara made his move, slipping through the gears, pressing hard upon the accelerator. Finley he got his team home, West Indies Won by 1 wicket. As Wisden put it, he had “guided his team to victory as though leading the infirm through a maze”. 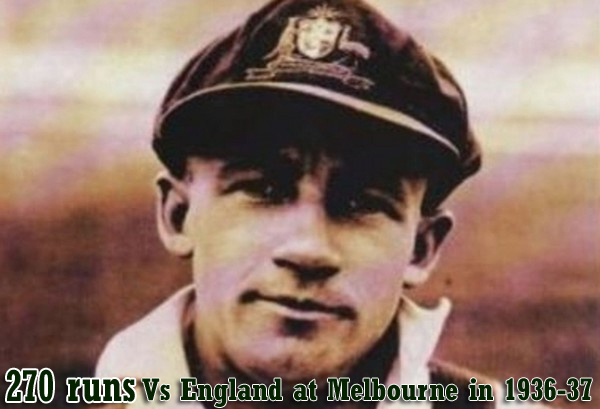 Against England at Melbourne in 1936-37. DON was playing his 1st Test Series For Australia as a Captain. Australia Lost first two Test Matches by huge margins, DON also made a Duck in each match. in 3rd match were Australia was 97 for 5 wickets, in deep trouble, don was struggling with flu, when he went out at crease. Don Bradman played an innings of his life. he shared a record stand of 346 with Jack Fingleton. Australia Won this test Match by 365 runs. 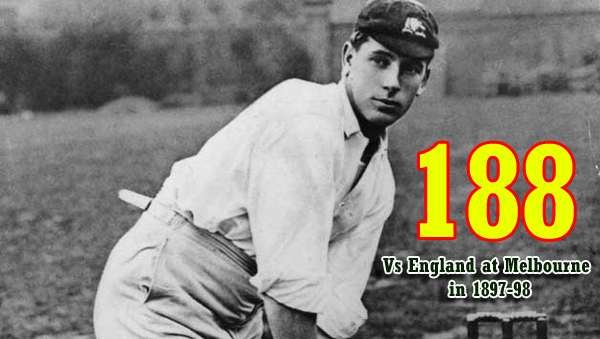 Bradman Was the Top Scorer in This Series With 810 Runs. Undoubtedly That Was the greatest ever innings in history of cricket, by the DON of Cricket.